Headed to California’s most famous wine country? 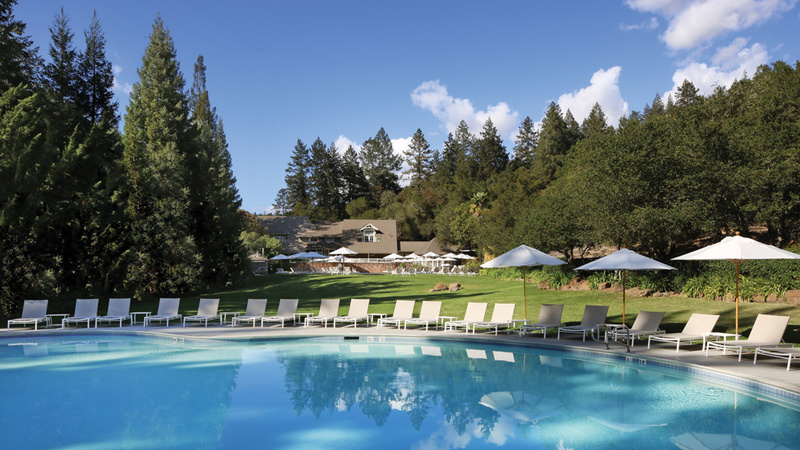 Here are three of our favorite Napa Valley hotels that offer the ultimate, luxurious experience. Revive and rejuvenate yourself in these amazing locations, where you'll just want to stay in and have breakfast in bed. 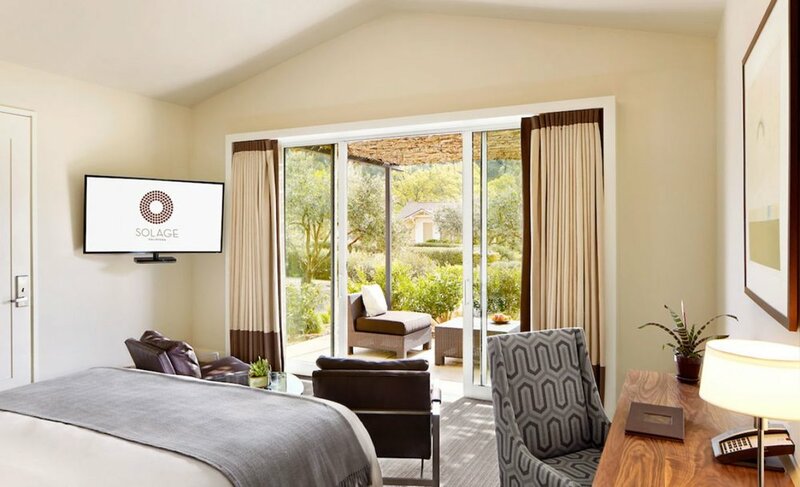 As a Forbes Five-Star Napa Valley Resort, Solage provides guests with a full range of spa services, unique wellness experiences, and an inventive, yet classic restaurant. Health and wellness are at the heart of Solage. 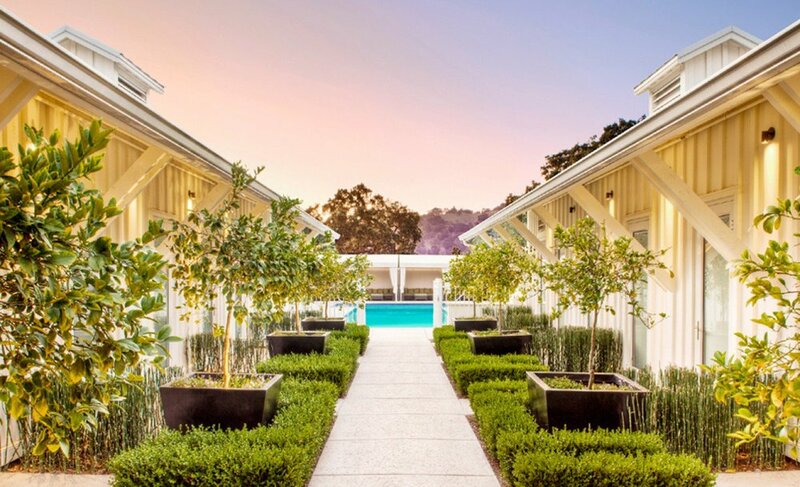 Artfully designed and ecologically conscious, the spa at Solage is the ultimate retreat to experience relaxing and invigorating services, including new twists on the renowned Calistoga mud and mineral water therapies. Experience The Mud, The Waters and The Rest during their signature Mudslide treatment. Your perfect day awaits at Solage. The resort has many spa offerings with one of our favorites being the "Double Your Leisure" package. Enjoy lunch for two at Solbar, two 60-minute massages and two Signature Mudslides. Offer includes complimentary access to our bocce courts. Guests visiting the luxury resort can choose from one of 83 spacious studios or 6 luxurious one-bedroom suites. The warm, inviting furnishings and delicious food will have you eating breakfast in bed every morning. Calistoga Ranch is nestled away in a private canyon on the upper Napa Valley. Take advantage of the gorgeous surroundings, nature is sure to soothe you! Refined yet rustic relaxation is apparent in every part of this Napa Valley resort. Guests can choose from 50 free-standing lodges that reflect and embrace the pristine natural surroundings with cedar decks, rich woods and floor-to-ceiling windows. Nestled away in a wooded canyon, discover soothing soaking pools overlooking a creek, sample restorative organic spa treatments in private rooms, and enter a journey of pure relaxation. Calistoga Ranch’s longstanding tradition of culinary excellence is showcased in a variety of dining options, each reflecting innovative, locally inspired menus that incorporate the freshest organic, natural and seasonal ingredients. Enjoy a fusion of food, wine and nature at Calistoga Ranch. Meadowood Napa Valley is one of our favorite options for breakfast in bed! The privacy of Meadowood guest rooms makes them ideal settings for romantic meals for two, whether in the morning surrounded by the sounds of nature on the deck or in the evening in front of a crackling fire. Your wellness experience may begin with a warm welcome in the spa, then unfold under the skilled touch of their therapists. When you've explored Napa Valley to your heart's content, light a fire and settle onto the sofa for a glass of wine and a little quiet time. Dine al fresco and watch nighttime settle into the forest or allow Meadowood to set a table for you fireside.